I came across this idea from watching Randy Cunningham Ninth Grade Ninja (that show is actually pretty Bruce ) and from watching Digimon Tamers. The only other character I thought who would also play the role of the Ninja perfectly besides Renamon was none other than Impmon. Both Renamon and Impmon would both play the roles of being awesome Ninjas, since in their series they both grow in strength, skill, and ability, but also in both their morality and personality. 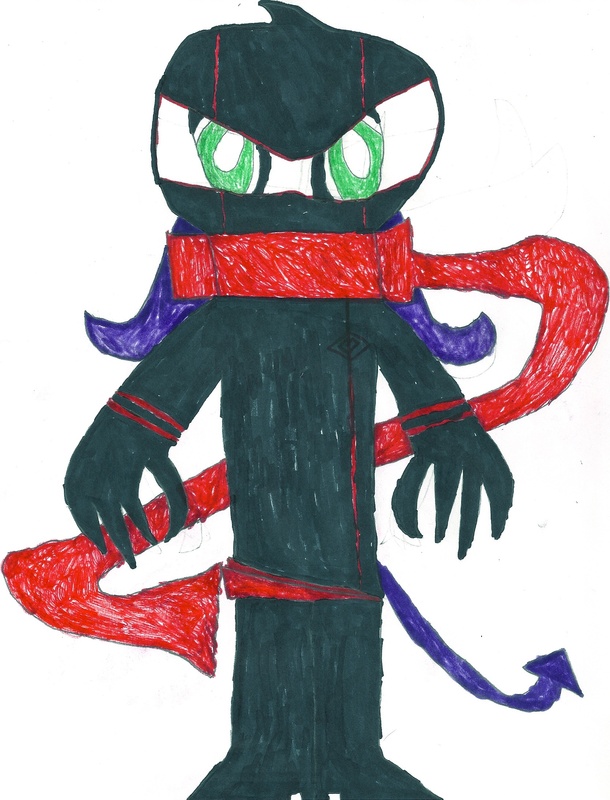 The only reason I didn't also draw Renamon as the Ninja, is because Impmon is a bit easier to draw. Also I gave Impmon an extra fingers and made him taller too. By the way for those of you who don't know, Terada is Impmon's tamers' last name.